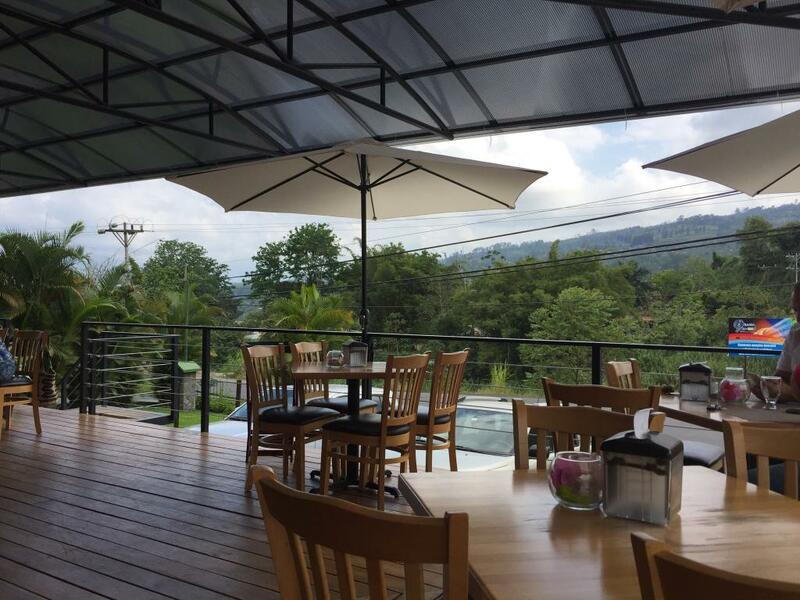 Rio is a beautiful restaurant situated off Turrialba; it is an excellent place for meeting with your partner and friends, and have romantic moments while savoring delicious dishes at unbeatable prices. If you are around Turrialba, you won’t want to miss out on this place. 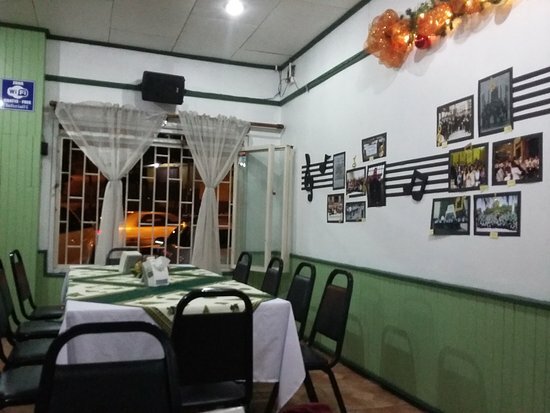 La Feria is a little restaurant close to the bus station in Turrialba. Frequented by locals and travelers, it offers delicious foods for lunch and dinner. It also has a big parking lot outside the spot. So, visitors don’t have any hard time parking their cars. The menu offers locally sourced organic foods, such as chicken rice, asparagus salad, beans, house steak, plantains, tacos, and much more. The food is cooked and presented very well. To whet your appetite, you should grab the asparagus salad; it is far from the typical. Then, you can order Casado, which comprises in rice, fried plantains, and beans. You can also add tacos if you like fish. This will get you stuffed and satisfied. The chicken is also unbeatable. So, if you still need some more food, this is the right one to add. In case you don’t want to order from the menu, you can get the lunch buffet on Tuesdays. The staff welcomes and accommodates every visitor. When the staff gives their menu to the clients, they also help them choose the best dishes. Then, the servers bring the food in no time. By chatting with them, the owners make sure that the clients are satisfied. They also recommend their restaurant to the travelers in the street and serve them accordingly. Given the kindness of the staff, it is one of the few restaurants where the clients can recover valuables that they sometimes forget during their first visit. And the prices are very affordable. Wok and Roll is an amazing Chinese restaurant, based in Turrialba up on the mountains, offering delicious foods at affordable prices. It is suitable for travelers and locals wanting to try Thai and Japanese cuisines, which are uniquely presented. Take your friends with you to join in the fun. 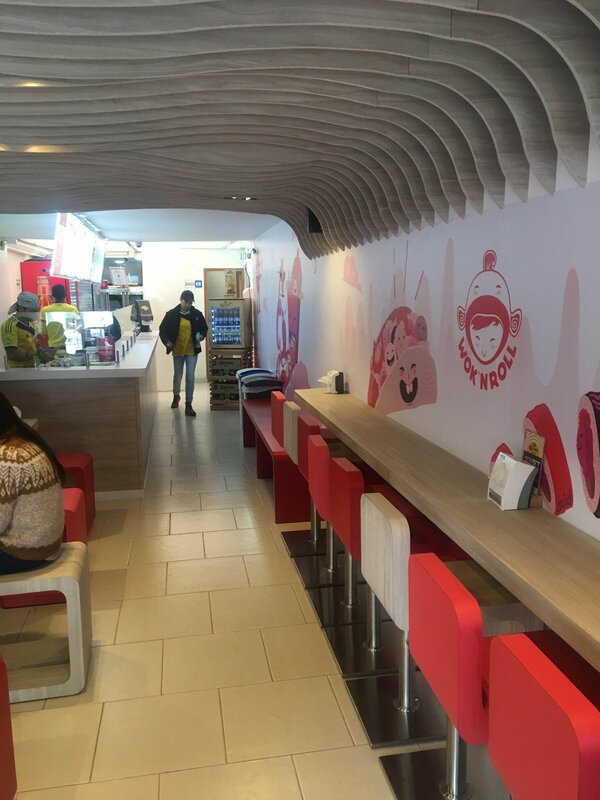 The menu offers unbeatable dishes, such as chicken curry, Kung pao chicken, noodle fries with beef, noodle Udon noodle, vegetables,Teryaki, bitter-spicy soup, shrimp, sushi, beans, and more. Though it’s not commonplace in Costa Rica, clients love all the dishes offered at the restaurant. For entrées, you can either order the soup with bitter spice or rice with shrimp. These two dishes are the best you can have at the spot. The chicken is amazing, too; it is served in large portions. So, you can share it with a friend. You can also enjoy natural fruit juices or other drinks, such as smoothies, ginger, and white tea. No alcohol is offered, though. The staff is both warmly welcoming and attentive to their clients. Since they are fluent in English, the clients feel even more accommodated, as they can say whatever they want and however they can. The spot is not crowded, which sometimes makes visitors hesitate to go in. But when they finally get in, they realize that they were underestimating the restaurant. Then, the staff explains their dishes on the menu and takes their orders. With their fast delivery, the clients need not wait for their meals; the servers bring them in no time. The service is mind-blowing. 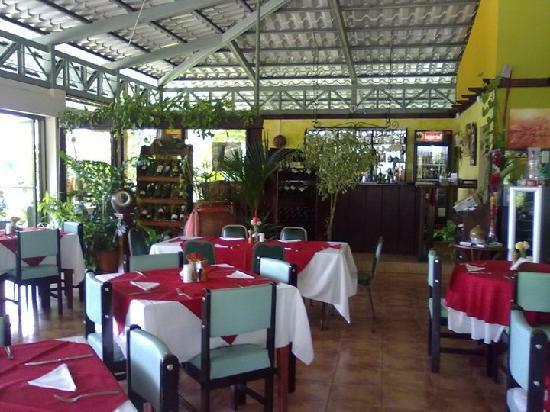 Restaurante Nazca is a small and family-friendly restaurant situated in Turrialba. Due to its excellent services, the restaurant has received many clients as a result of recommendations. It’s definitely one of the best eating spots in Costa Rica. So, your stomach will be full and satisfied as you visit this place. The restaurant offers foods such as ceviche, patacones, filet mignon, chicken wings, wood sauce, grilled chicken salad, and much more. The food is well dished up to make you satisfied. The ceviche is prepared with love. 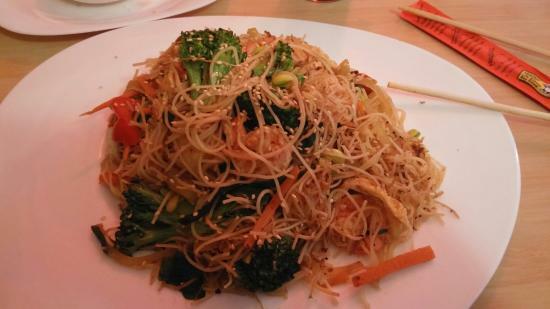 It is one of the yummiest dishes you can have out of this place. Another equally delicious dish is the grilled chicken salad. If you’re not for salad, you can order chicken wings. In addition, you can ask for fresh drinks. For example, you can order the delicious cocktails. This restaurant is one of the fewest spots that offer excellent services in the area. The staff is always attentive and kind to the clients. When the visitors decide on what to eat and to drink, the staff takes their orders; tropical drinks are brought to their tables while their food is being prepared. That said, they can watch the gourmet prepare their food while sipping their drinks. The servers bring the dishes in time. And the prices are reasonable. 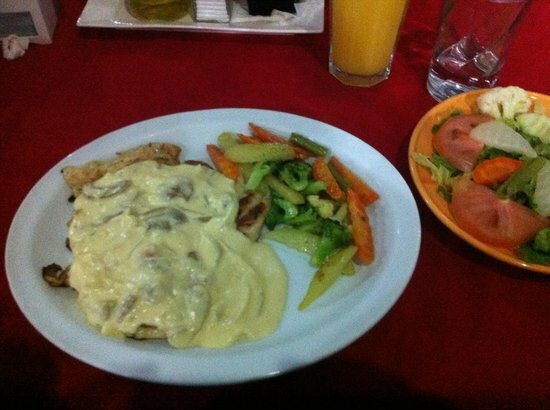 Turrialtico is a wonderful restaurant situated in Cartago. It blends the Costa Rican with the European cuisine to suit every taste, the taste of the locals and of the travelers. So, it offers delicious breakfast, lunch, and dinner. The spot also features an amazing hotel where travelers can stay. You can go with your partner and family; there are great surprises for all of you. The menu is extensive; it offers great dishes, such as Fettucini Carbonara, bread, tayuyos, beef sandwich, bacon, tortillas, grilled fish, Agua dulce, and more. All the foods are cooked very well; every dish is prepared with fresh ingredients. The food is served in large portions. So, you can either share it with your partner or eat it alone if you are very hungry. The grilled fish is very tasty. You may not have enough of it. Furthermore, you can order coffee with Agua dulce. You can also order fruit cocktails. The restaurant provides the customers with great services; the staff is friendly towards the clients. And, they attend to their needs with passion. Even when the customers order some complicated meals, the staff kindly meets their needs. They bring the food in no time. The owner always talks with the clients, ensuring their satisfaction with their orders. Could be there be some kind of dissatisfaction, the staff always sees to it that new dishes are brought to the tables. The food and the drinks are well priced. There are many restaurants and many options for a decent meal in Turrialba. Betico Mata is one of the considerable options. This restaurant is one of few restaurants that will impress you. It delivers high-quality food at cheap prices, all customers feel satisfied with their service. If you want to eat the best meat you should go there. If you are going to Province of Cartago for the first time. you are looking for a good restaurant with great delicious food and wonderful view. This is one of the best options you will ever have. Turrialba has many wonderful sites. This is one of its best places to visit, you should go and you will never regret that. 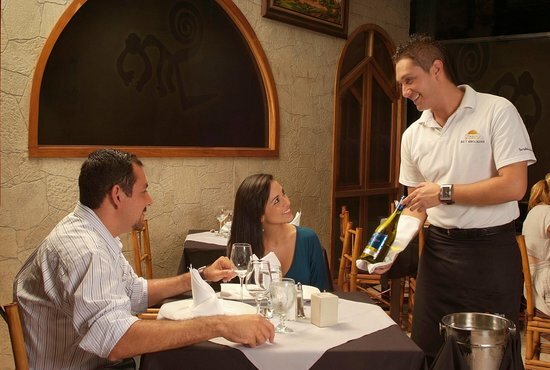 They are one of the best restaurants that share great experience of Costa-Rican food with their customers. 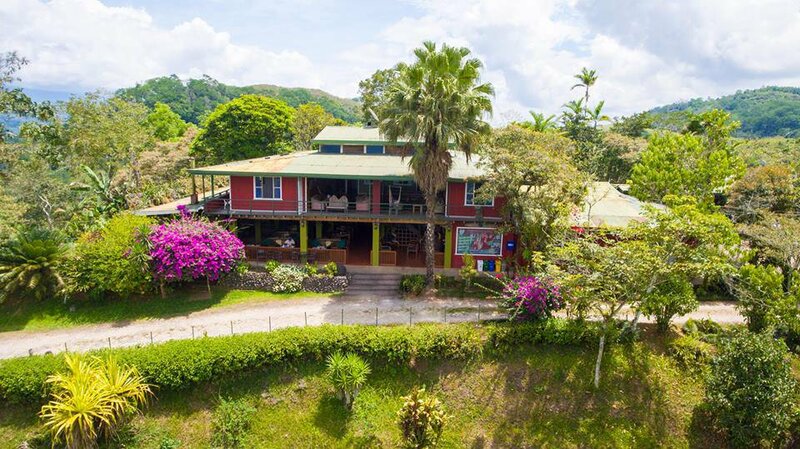 If you want to spend a couple days in a stunning hotel located in the heart of the nature in Costa Rica, you’ve to give a try to Casa Turire hotel and restaurant. You can’t go wrong. You will be amazed by pretty much everything. The lake view, the atmosphere, the grounds, the food, and the service. Once you get settled in, you should go out and look at the Turrialba Volcano erupting in the background. The setting is beautiful and reminiscent of a Hollywood set. Of course, when you visit Costa Rica, you will love to try the typical Costa Rican, Central American food. And speaking of that, here’s one of the best restaurant options, Restaurant Rancho del Sapito. It’s one of the highly recommended restaurants in Turrialba, and although it’s off the track, it’s so worth to visit. They offer the traditional Costa Rican food with the rest of Central American and Latin kitchen recipes.